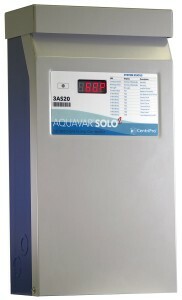 The Solo 2 provides consistent water pressure with all the tried and true features of the Solo plus innovative upgrades. Check out the Aquavar Solo 2 here! The new Gouds HS series 4" submersible pumps feature a new crimped design that will not seaparate even in the harshest conditions. Designed and built with top quality materials and construction to provide reliable and efficient service. Available in 5,7,10,18 and 25 gallons per minute sizes equipped with 1/2hp to 1 1/2 hp motors.